Polio Survivors Ireland is providing training for any members who would like to get involved in our Telephone Support Service. Many of you will be familiar with RingRing and PhoneChat – perhaps you would like to help us deliver this service to members who need support from the comfort of their own homes. The training takes place on Friday 1st March in the Kilmurry Lodge Hotel, Limerick and lunch will be provided. To take part, please contact Niamh at mvro@ppsg.ie or 086 3188 727. 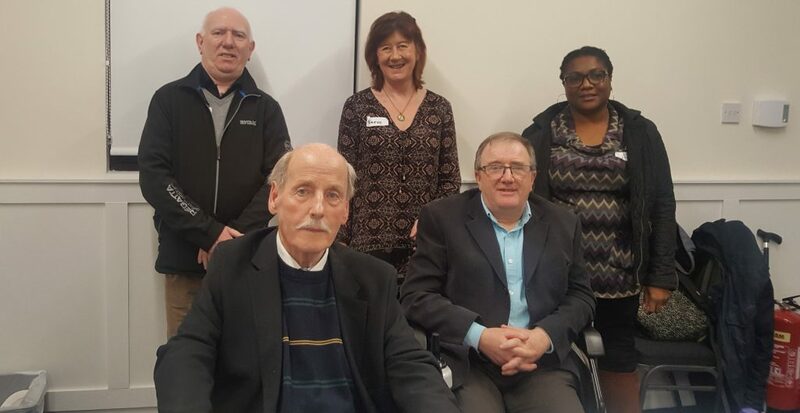 Pictured are members of Polio Survivors Ireland taking part in our Telephone Support Training last November in Carmichael Ireland.